Reduce Varicose Veins, Stretch Marks and Cellulite : When it&#039;s time to show off a little leg, don&#039;t let bumpy, uneven skin stand in your way! 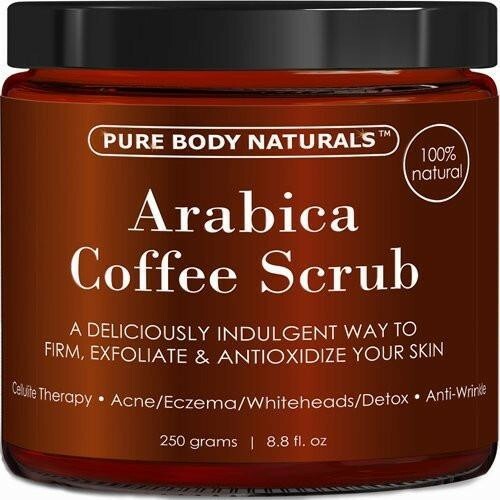 Our Coffee Cellulite Scrub utilizes caffeine from Organic Kona Coffee and Coffee Arabica Seed Oil to naturally stimulate blood flow. The result? 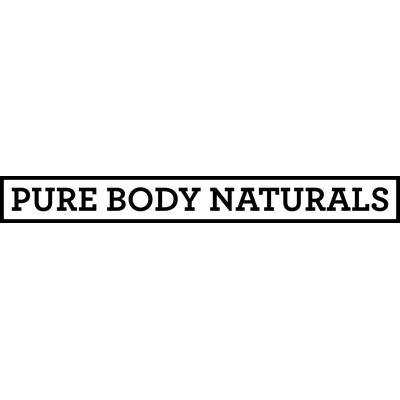 You&#039;ll see a reduction in stubborn problems like cellulite, stretch marks, age spots, and varicose veins! It&#039;s even effective in reducing the symptoms of chronic conditions like eczema and psoriasis. Fight Acne and Breakouts: Say goodbye to acne and hello to clear skin! We all do our best to fight facial blemishes, but what about the rest of your body? Spots can pop up on your back, arms, and shoulders, but with our Coffee Body Scrub, blackheads, whiteheads, and acne don&#039;t stand a chance! Our expert formula contains Dead Sea Salt, which provides a gentle exfoliation that keeps your pores clean, controls breakouts, and leaves your skin looking radiant. Hydrate and Moisturize Your Skin: The secret to silky, supple skin is a great moisturizer that deeply hydrates! 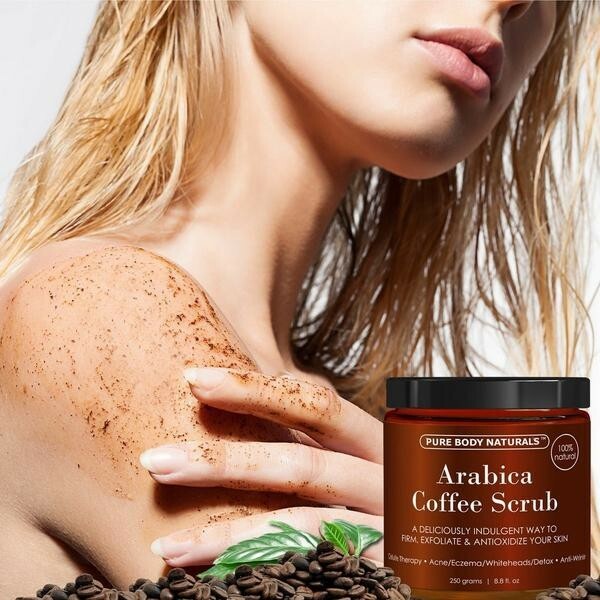 To help fight the dry, tight skin so many of us suffer from, our Coffee Scrub features a blend of luxurious and beneficial oils including Coconut, Olive, Grape Seed, and Sweet Almond. Your skin will be soft to the touch and properly nourished. And don&#039;t worry, these oils won&#039;t clog your pores or leave your skin with a greasy residue! 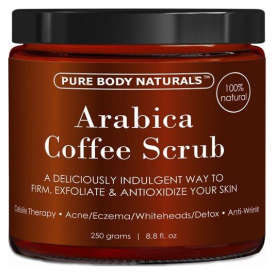 All-Natural Formula: Whether you use our Arabica Coffee Scrub for cellulite, acne, or something in between, you can rest assured knowing that you&#039;re providing your body with a carefully selected blend of organic and all-natural ingredients. 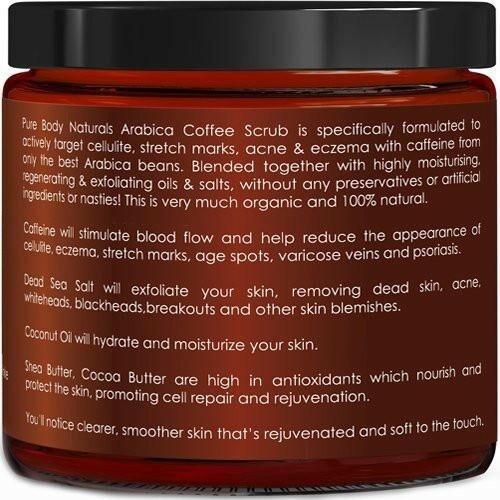 Rich in antioxidants, Shea and Cocoa Butter protect the skin while promoting cell repair for a youthful, rejuvenated glow! To make things even better, there are no additives, preservatives, or artificial ingredients. 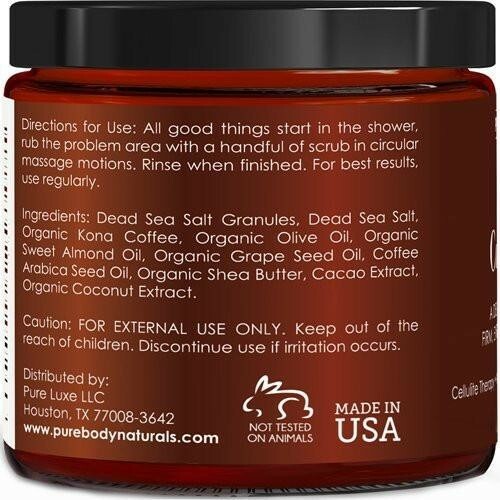 "This is a lovely natural product but as it is made in the USA it is expensive here and you can make you own version..."